A new type of solar cell, made from a material that is dramatically cheaper to obtain and use than silicon, could generate as much power as today’s commodity solar cells. Although the potential of the material is just starting to be understood, it has caught the attention of the world’s leading solar researchers, and several companies are already working to commercialize it. Researchers developing the technology say that it could lead to solar panels that cost just 10 to 20 cents per watt. Solar panels now typically cost about 75 cents a watt, and the U.S. Department of Energy says 50 cents per watt will allow solar power to compete with fossil fuel. In the past, solar researchers have been divided into two camps in their pursuit of cheaper solar power. Some have sought solar cells that can be made very cheaply but that have the downside of being relatively inefficient. Lately, more researchers have focused on developing very high efficiency cells, even if they require more expensive manufacturing techniques. The new material may make it possible to get the best of both worlds—solar cells that are highly efficient but also cheap to make. One of the world’s top solar researchers, Martin Green of the University of New South Wales, Australia, says the rapid progress has been surprising. Solar cells that use the material “can be made with very simple and potentially very cheap technology, and the efficiency is rising very dramatically,” he says. Perovskites have been known for over a century, but no one thought to try them in solar cells until relatively recently. The particular material the researchers are using is very good at absorbing light. While conventional silicon solar panels use materials that are about 180 micrometers thick, the new solar cells use less than one micrometer of material to capture the same amount of sunlight. The pigment is a semiconductor that is also good at transporting the electric charge created when light hits it. “The material is dirt cheap,” says Michael Grätzel, who is famous within the solar industry for inventing a type of solar cell that bears his name. His group has produced the most efficient perovskite solar cells so far—they convert 15 percent of the energy in sunlight into electricity, far more than other cheap-to-make solar cells. Based on its performance so far, and on its known light-conversion properties, researchers say its efficiency could easily rise as high as 20 to 25 percent, which is as good as the record efficiencies (typically achieved in labs) of the most common types of solar cells today. The efficiencies of mass-produced solar cells may be lower. But it makes sense to compare the lab efficiencies of the perovskite cells with the lab records for other materials. Grätzel says that perovskite in solar cells will likely prove to be a “forgiving” material that retains high efficiencies in mass production, since the manufacturing processes are simple. Perovskite solar cells can be made by spreading the pigment on a sheet of glass or metal foil, along with a few other layers of material that facilitate the movement of electrons through the cell. This isn’t quite the spray-on solar cells that some people have envisioned—a sci-fi ideal of instantly converting any surface into one that can generate electricity—but the process is so easy that it’s getting close. “It is highly unlikely that anyone will ever be able to just buy a tub of ‘solar paint,’ but all the layers in the solar cell can be fabricated as easily as painting a surface,” says Henry Snaith, a physicist at Oxford University, who, working with researchers in Asia, has posted some of the best efficiencies for the new type of solar cell. When perovskites were first tried in solar cells in 2009, efficiencies were low—they only converted about 3.5 percent of the energy in sunlight into electricity. The cells also didn’t last very long, since a liquid electrolyte dissolved the perovskite. Researchers barely had enough time to test them before they stopped working. But last year a couple of technical innovations—ways to replace a liquid electrolyte with solid materials—solved those problems and started researchers on a race to produce ever-more-efficient solar cells. “Between 2009 and 2012 there was only one paper. Then in the end of the summer of 2012 it all kicked off,” Snaith says. Efficiencies quickly doubled and then doubled again. And the efficiency is expected to keep growing as researchers apply techniques that have been demonstrated to improve the efficiency of other solar cells. Snaith is working to commercialize the technology through a startup called Oxford Photovoltaics, which has raised $4.4 million. Grätzel, whose original solar-cell technology is now used in consumer products such as backpacks and iPad covers, is licensing the new technology to companies that have the goal of taking on conventional silicon solar panels for large-scale solar-power production. Like any other new entrant into the highly competitive solar-panel market, perovskites will have difficulty taking on silicon solar cells. The costs of silicon solar cells are falling, and some analysts think they could eventually fall as low as 25 cents per watt, which would eliminate most of the cost advantage of perovskites and lessen the incentive for investing in the new technology. The manufacturing process for perovskite solar cells—which can be as simple as spreading a liquid over a surface or can involve vapor deposition, another large-scale manufacturing process—is expected to be easy. But historically, it has taken over a decade to scale up novel solar-cell technologies, and a decade from now silicon solar cells could be too far ahead to catch. Green says one opportunity may be to use perovskites to augment rather than replace silicon solar cells. It might be possible to paint perovskites onto conventional silicon solar cells to improve their efficiency, and so lower the overall cost per watt for solar cells. This might be an easier way to break into the solar market than trying to introduce an entirely new kind of solar cell. A challenge may be the fact that the material includes a small amount of lead, which is toxic. 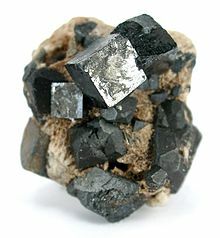 Tests will be needed to show how toxic it is as part of the perovskite material. Steps can also be taken to ensure the solar cells are collected and recycled to prevent the materials from getting into the environment—the approach pursued now with the lead-acid starter batteries used in cars. It may also be possible to substitute tin or some other element for lead in the cells.